Flan, the dessert of Spain. Actually, flan can be traced back to the Roman Empire when chickens first became domesticated and kept for laying eggs. With the large amounts of eggs, Romans turned to the Greeks who helped them develop flan. It wasn’t until the fall of the Roman empire that the Spaniards and Moors adapted it into a sweet caramel custard. Once Columbus traveled the seas, flan was introduced to Central and South America and we are now enjoying it throughout the world. That is one thing I love about flan. It’s so versatile. There are so many different ways to enjoy it. I am so pleased that my recipe below turned out exactly how I envisioned it. I love the classic vanilla taste of flan but I wanted to introduce another familiar taste in Spain, the herb anise. The flavor of anise resembles black licorice. It’s used in cookies and pastries and in the ever popular alcohol, aguardiente. I wanted to bring a hint of this flavor and fuse that with a strawberry caramel topping. The result was amazing. In a small pan, heat the sugar for about 5 or 6 minutes on low, mixing to heat through. Add the water, strawberry puree, and crushed anise and heat for an additional 8 to 10 minutes on low, constantly stirring. Pour into individual flan molds or a large cake pan until the bottoms have been covered. In a heavy bottomed sauce pan, add the milk and vanilla extract, and bring to a boil. While the milk is coming to a boil, In a bowl, beat the eggs, egg yolks, and sugar. Once the milk has come to a boil, turn off the heat, and gradually stir in the hot milk to the egg mixture, a little at a time. Pour into individual flan molds or the larger cake pan. Put the individual molds or cake pan into a separate roasting pan and pour in hot water until it reaches halfway up the sides of the flan molds. Bake at 300F for 50 minutes or until a knife inserted into the flan comes out clean. Remove the individual molds or cake pan from the roasting pan and let cool. Turn onto a dish and serve! Diana this flan is wonderful. I love how simple,easy and, of course, delicious is this dessert. And yours, even more, with the anise and strawberry! I can just imagine the flavour that the anise will impart to the flan-love it!! looks wonderful with amazing flavours. Congratulation! Your site is really cute. I enjoy it. The recipe for flan is incredible. I love flan. Thank you so much for sharing. 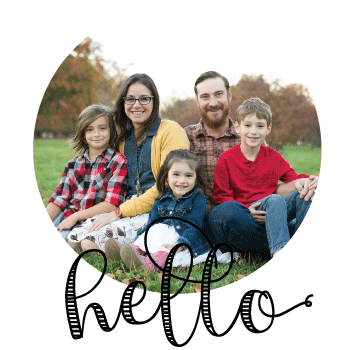 Miriam and Liz – Coming from two Spaniards, this means so much to me! Besos!! 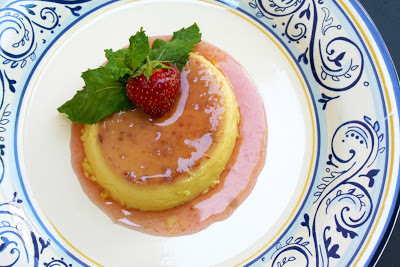 Heavenly looking flan and I love the idea of anise in the strawberry caramel! Gorgeous! Flan is lovely. Yours look wonderful! 5 Star Foodie – Thank you so much for visiting my site and commenting! Hummingbird Appetite – Thanks also for your comment, it's so much appreciated. Ooooh, good googly moogly. This looks divine! I'm little late at finding this post, but forgive me, I just found your blog. I'll be coming back often, to get a taste of Spain in Texas. I lived there while in college, and am forever wanting a piece of it here in my home. Thanks for sharing.